Following up on previous posts that commented on the future of food ("The Future of Farming?" 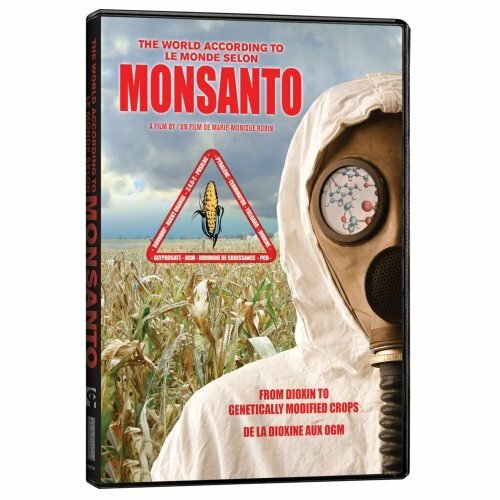 and "The Moderate Meat Movement: A New Way to Be Green"), I want to once again explore an intriguing development in the realm of food and sustainability: the rise of Genetically Modified Organisms (GMOs), otherwise known as "Frankenfood". Now, I remember GMOs being an growing social issue as far back as eight years ago (with GMO corp. Monsanto as the primary villain), but with the rise of the organic and local food movements, GMOs haven't exactly been in the spotlight over the last few years. As an article in the April 12 issue of Canadian Business by Joe Castaldo describes, however, Frankenfood may end up being the solution to the growing food crisis. What's wrong with GMOs, anyway? Because of these problems, many have chosen to reject GMOs outright, lobbying against the companies that produce them. 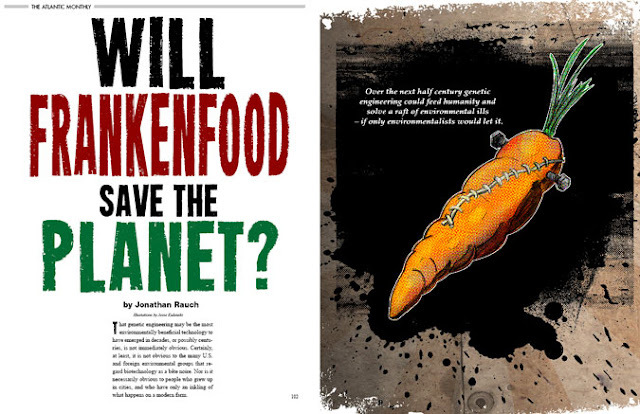 But the blind rejection of Frankenfood ignores a growing, more pressing issue: feeding the planet's growing population. According to the Food and Agriculture Organization of the United Nations, global food production will have to grow by 70% by 2050 in order to meet the growing demand for food. This need is especially pressing in developing countries. As previously explored, Vertical Farms in cities represent one possible solution. Eating less meat is another. Utilizing the higher yields from GMOs, however, probably represents the most viable option in the near future. In fact, GMOs may also represent a more sustainable way to farm. Despite these benefits, Castaldo argues that the resistance to GMOs has more to do with the public's perception of the corporations responsible for them. Global behemoths like Monsanto are viewed as greedy profit mongers who play god and bully farmers into buying their patented mutant seeds. First of all, there is no credible evidence of higher yields for the cost expended, which is a big part of sustainability, factor in the damage done to the environment and GMOs again show up large on the FAIL list. Marker assisted selective breeding, however, doesn't involve crossing species or even kingdom lines so a corporation can claim a patent and attempt to weaponize something as basic as food for profit. Hi there, thanks for sharing your comments. If higher yields (or constant yields under more difficult environmental conditions) aren't attained with GMOs, then there's no point in their existence. "When we put this gene in there, we're expecting to have a boost in yield on average of 25%. We believe they will be successful. Otherwise we would not be wasting our time with them." If more efficient GMOs allow farmers to use less fertilizer, that's a positive impact on the environment. Selective breeding is another option that is also being explored intensely (Monsanto included). In some cases, however, genetic modification may prove to be the only viable option. Take the spread of the UG99 fungal disease among the wheat crops in Africa and the Middle East. GMOs may be the only way to produce wheat that is resistant to this disease.